Hawthorne, CA high tech empolyer Space Exploration (SpaceX) renews lease through 2022 Following the success of SpaceX’s Dragon spacecraft mission to the International Space Station (ISS), Elon Musk has committed to staying at the current headquarters located in Hawthorne, CA with the caveat that the city provide tax incentives. The agreement would run through 2022. SpaceX is the first private company to successfully launch spacecraft. They design, manufacture, and deploy unmanned rockets and spacecraft. Founded in 2002, SpaceX has the far-reaching goal to revolutionize space transportation, with the ultimate endeavor of enabling people to live on other planets. 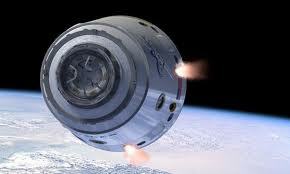 Locally, SpaceX employs over 2,100 high tech professionals and is largest job creator for Hawthorne, CA. In employment numbers, OSI Systems Inc (see related article, TSA Opens Up Scanner Market ) is comparable and also predominately high technology and manufacturing focused. Related: More information about Space-X and their efforts to recycle rocket components.